Pianist Singer Paul Gallagher is one of the most popular singer /pianists in Glasgow & Edinburgh for Hotels, Restaurants , Piano Bars, Weddings, Functions, Parties, and special events. Paul is a truly great singer and top class musician. He has a repertoire of over four hundred songs and instrumentals and can offer any style of music for any occasion. Over the past ten years Paul has held residencies at the Balmoral hotel Edinburgh, the Caledonian hotel Edinburgh, Mar Hall hotel Bishopton and has performed on five occasions at Skibo Castle Dornoch and has performed in pretty much every Hotel piano bar, bar restaurant and restaurant in and around Glasgow and Edinburgh. Paul continues with a busy schedule of playing from solo piano, jazz trio’s and quartets. 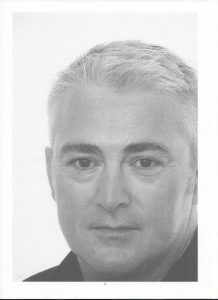 He has recently played piano at the Hilton Glasgow & the Crowne Plaza hotel. Many Years ago Paul began working at Beatbox studios in Finnieston, Glasgow gaining a great reputation as a session musician working with the Hue and Cry, the McCluskey Brothers-The Bluebells, Callum Kennedy, Eddie Reader, Alan Rankin (the Associates), Stuart Murdoch (Belle and Sebastian, the Sensational Alex Harvey band and many others. After Beatbox Paul as performing at The Corinthian Club in Glasgow and was asked to perform for his Royal Highness the Prince of Wales at the Palace of Holyrood House in Edinburgh and over the next four years Paul performed a further eight times at the palace. Paul started learning piano at the age of nine with a good classical teacher he was soon performing for his school . Paul continued to perform with the Orchestras and bands in his secondary school gaining experience and fine- tuning his playing. After high School, Paul was accepted for Perth Music College where he studied piano with the great jazz pianists Jimmy Henry and the Jazz legend Peggy O’Keefe and jazz singer Pamela Maclean of the Maclean sisters.